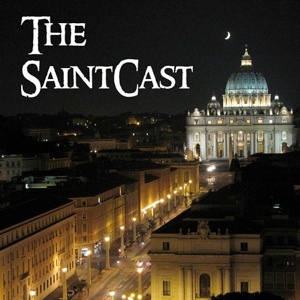 SaintCast 96, SaintCast in Rome! Paul and his daughter Laura go to Rome and take you inside on a soundseeing tour of Piazza San Pietro and St. Peter’s basilica. They meet up with Monsignor Charles Mangan of the Congregation for Religious, and discover a ‘hidden’ marble slab in the piazza marking an historic event. More to come from Rome and other saintly sites in Italy.